Terry Bogard, Andy Bogard, and Joe Higashi. SNK has released the third in its series of “Team Gameplay” trailers for The King of Fighters XIV. This one introduces the Fatal Fury Team. 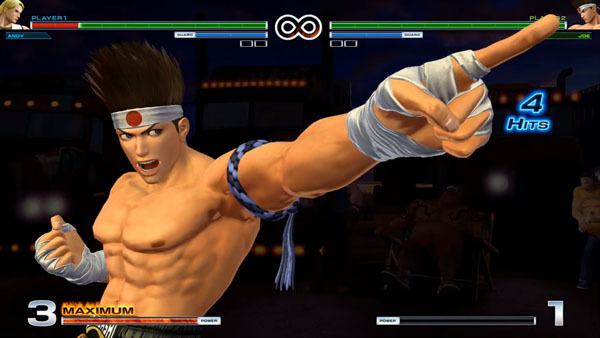 Terry Bogard – Terry joined the world of martial arts and combat sports in order to avenge the death of Jeff Bogard, his adoptive father who was murdered by the evil Geese Howard. Always cheerful and ready to help others, Terry is adored by the children of Southtown as a hero. Andy Bogard – Andy decided to learn the traditional martial art of Koppou and Shiranui ninjutsu in order to defeat Geese Howard, the one who assassinated his adoptive father Jeff Bogard. Quiet and polite, Andy always shows respect to his opponents. He is now in a relationship with the beautiful Mai Shiranui. Joe Higashi – Joe left his native Japan in his youth to become the greatest champion of Muay Thai of all time. Jovial and energetic by nature, Joe is always looking for fights and training. He met the Bogard Brothers one day in Southtown, and their friendship has grown stronger over the years. If you missed it, previous trailers introduced Yagami Team and Japan Team.